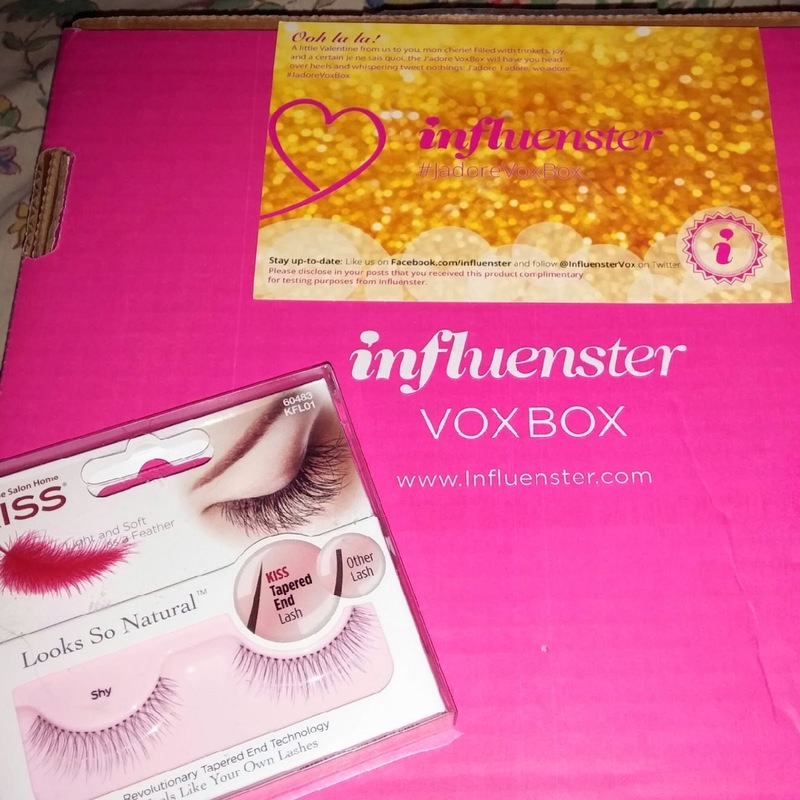 Thanks to Influenster I received my first Vox Box, the Jadore Voxbox packed with goodies. Included were Kiss brand lashes. Until then I didn't know KISS made lashes. The lashes are thin and comfortable looking. As of now I haven't tried them out. I plan to wear them Sat so stay tuned for the pictures and review next week. But if you would like to try them early Im including instructions for any Newbies to artificial lashes. Enjoy! To Use: Simply apply glue to the lash base and let set for 30 seconds, holding both sides of the lash with the string applicators, and place on the eye-lid along the natural lash line. Allow to set and apply lashes to second eye. Once completely dry, hold & squeeze lashes firmly between thumb and index finger, push in lashes and gently grab one end of string, pulling away. Do the same to the second eyelash. Both lashes have a perfect fit! The people of Skin & Co were nice enough to let me try their new line of anti-aging products before they hit the market. It is known as the New Truffle Therapy Anti-Aging Skin and Body Care line. Skin & Co used luxurious Umbrian truffles for this line. Yes rare Italian Truffles plus hyluronic acid, shea butter, argan Oil and panthenol in these new products. So what does all that do you may ask? I know I did... It neutralizes free radicals, that lead to age damage and wrinkles. Also it repairs past damage and stops future damage to your skin. The products I received are Truffle therapy face cream and truffle therapy serum for the face. They also make gommage and a cleansing foam as part of the anti-aging skincare line. For their body care line I was sent Truffle Therapy body gel and body milk. Truffle Therapy Face Cream ($68.00) is proof that sometimes us divas should splurge on our skin. It stimulates the production of Superoxide Dismutase, which destroys free radicals and has an anti-aging effect. It also prevents UVA- UVB damage and helps with skins elasticity, for firmer and softer skin. 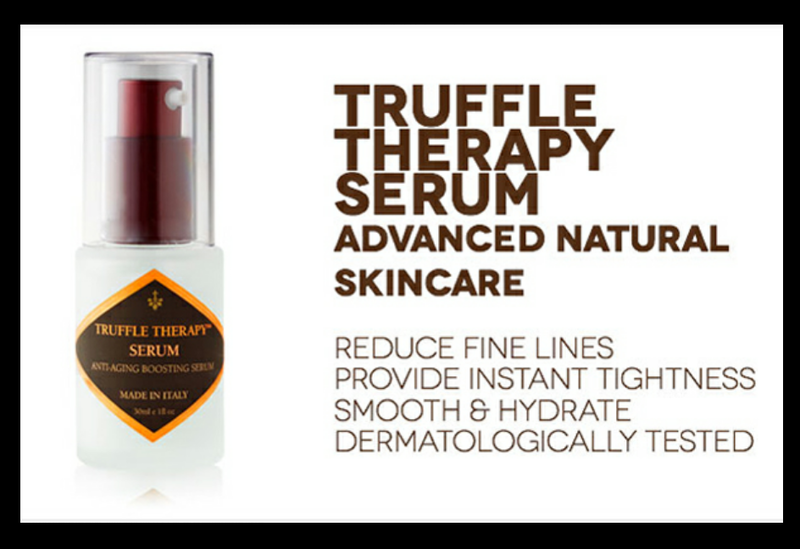 Truffle Therapy Serum ($75.00) this plumps up your skin and fights off damage from free radicals. Infused with Tuber Melanosporum, a truffle extract that helps with production of Superoxide Dismutase. This is basically a fountain of youth in a tube. The body care line was something Ive never tried before. The truffle therapy body gel ($9.00-$18.50) helps with the antiaging aspect of your skin. The gel left my skin soft with a tightening feel. The Truffle Body Milk ($11.00-$35.00) was amazing. I loved it because it was thin yet still left me feeling soft. I didnt need a goopy thick lotion to feel good. I liked the body line but loved the skin care line for my face. Well the meaning behind my Tumblr name is easy. Its the same as my blog and my Twitter. Its Chicago diva on a dime. Chicago because that is where im from. Diva on a dime? because Im a diva always in search of a deal or a bargain. Im not sure how much detail im going to go in. I had a problem with my phone and took the whole night to fix. So Im a day late. Well Monday I went to my Doctor whos in downtown Chicago. I wont go into details but he left me feeling hopeful about my pain. After that I stopped at Gharets and picked up popcorn. If you live in Chicago you know the Chicago mix is awesome. If your not from Chicago, Chicago mix is cheese and caramel popcorn. And theirs is the best. After coming home I napped, helped with algebra homework and ate dinner. Dinner was leftover chili. I also got a new phone. Its an LG G2. I hate it and im probably getting the Galaxy S5 when it comes out :) The problem I had was the phone didnt activate right and I had net but no calls and texts. And it was after business hours. But I did manage to fix it. Well that was my Monday. 4- Stilettos even though I can't wear them bc of my back. 5- MAC makeup still my fave. 10- I love watching sports especially Football! 1- Liver even with lemon I hate it! 2- snow and cold weather. 4- Running. I like to workout but hate running. 5- Folding laundry. I love to wash but hate to fold it! 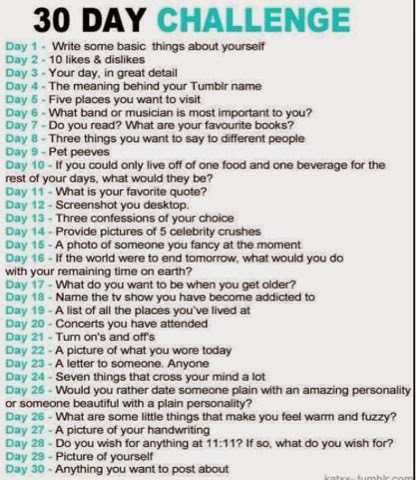 6- I hate bland food. I love spice. 8- cuddling, unless I really like you. 10- the Greenbay Packers. Hate them go Bears! Day 1- Write some basic things about yourself. Well I'm a 34 year old single mom of a 14 year old son. I got into blogging when I realized I was going to be out of work for a while. I'm out due to a back problem. I have always been into social media but now more so. I needed to find something to do when I'm stuck in bed due to the pain. My favorite items to win or test are health and beauty. I love make up and hair care! Besides a son I have two dogs who I love. Pierre and Hercules are my fur babies, however, they live on separate floors. Peeper as we call him isn't friendly so they have to live apart. Both are rescue dogs. Currently I'm dieting because I gained 50lbs due to meds and not being able to workout. I started dieting in Jan and I'm already 10lbs down. If I'm ever cleared to workout I can lose weight faster. I can't wait til that day. As you know I'm trying to blog daily. And I'm still finding my nitche so I thought this would help. I do like to talk about everything so it's hard to pick a subject. So for the month of February I'm going to try a challenge I found online. And I will still post reviews and such. So far this month I'll be reviewing products from Skin & co, Fiber One, Nutrogena hair care, and Dove. Since I still have to write today's blog here is the list of subjects for February.